Please click here to read our complete Terms and Conditions. The product range displayed online does not constitute an offer. The representation is non binding and subject to change. When the customer places an order via the Internet or any other communication channel, they are signalling their readiness to conclude a sale agreement. The customer will receive confirmation by e-mail that the order has been received (confirmation of receipt of order). This confirmation of receipt of order does not represent acceptance of the offer but merely informs the customer that the order has been received. The agreement becomes effective once American Mint accepts the offer by delivering the ordered product to the customer or sending confirmation of delivery in a second e-mail (confirmation of delivery). Acceptance is subject to the proviso that the ordered goods are available. Please pay particular attention to the number of goods stated in the product information. The majority of American Mint products are part of a larger collection. When placing an order, you have the option of receiving additional items in a collection or the option to purchase the single item only. When you select to receive future issues, the complementing items will be sent automatically to you at an approximate rate of one per month. If you prefer another interval for shipments, our customer service representatives will be happy to assist you in changing this. You are under no obligation to purchase any additional products in a collection and may cancel your participation at any time by contacting us at 1-877-807-6468. With every item, you receive free returns for 21 days. Take your time to examine each item and if you are not completely satisfied, you may return any item to us for a complete refund..
American Mint accepts Visa, Mastercard, American Express, PayPal and Discover for orders placed through our website. If you select to participate in our series program, all future shipments will be automatically billed to your credit card twenty-five days after the product is shipped, assuring you the twenty-day preview period. You can also pay with Paypal or Check/Money Order. We are pleased to offer a 100% money back guarantee. If you are not satisfied for any reason, you may return any purchase within twenty days for a full refund. All customer data will be handled in a trustworthy manner and will be kept in the highest confidence in accordance with the Federal Data Protection Act. Our customer service representatives are available Monday through Friday to assist you. 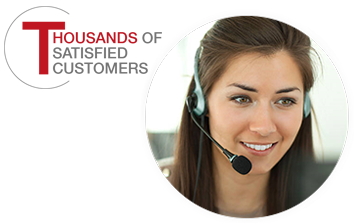 Our customer service department is open between the hours of 8:00 am and 8:00 pm EST and can be reached toll-free at 1-877-807-6468.